St. Patrick’s Day is March 17, and Clermont County Safe Communities is reminding drivers not to get behind the wheel if they’ve been drinking. 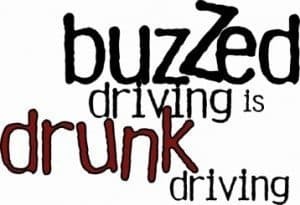 The National Highway Traffic Safety Administration (NHTSA) reports that more than 269 people have been killed nationwide in crashes involving drunk drivers during the St. Patrick’s Day holiday from 2007 to 2011. According to NHTSA in 2011, on average, one person was killed every 53 minutes in a drunk-driving crash in the United States. Most of these crashes involved drunk drivers who had blood alcohol concentrations of .15 or higher, almost twice the legal limit of .08. If you see a drunk driver on the road, contact local police. You could save a life. And remember, if you know people who are about to drive or ride while impaired, take their keys and help them make other arrangements to get to home. For more information, visit www.trafficsafetymarketing.gov or call Clermont Extension at 732-7070.